View from the top of Mildred Falls. The falls are flowing for the first time in several years. At 300 feet, it's San Diego County's tallest waterfall. 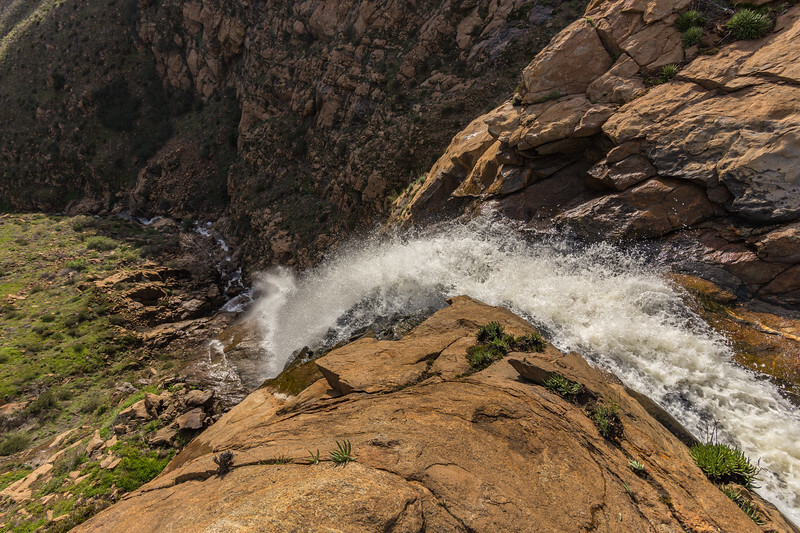 According to "San Diego County Place Names, A To Z" by Leland Fetzer, the waterfall is most likely named after Mildred Williams - a Julian resident in the early 1900's. Mildred committed suicide here by leaping into the falls.